The time tracker you'll love! Hours is the time tracker you will actually use. With a visual timeline, smart reminders, detailed reporting, and an interface crafted by and Apple Design Award winning team, Hours turns a tedious process into — dare we say — an enjoyable one. Hours offers an "Hours Pro" subscription, which provides additional reporting options, web access and sync for $7.99 per month. 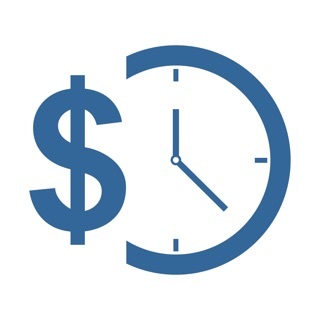 If you purchase an "Hours Pro" subscription, it will be charged to your credit card through your iTunes account and will automatically renew unless canceled at least 24 hours before the end of the current period. Your account will be charged $7.99 for renewal within 24-hours prior to the end of the current period. Any unused portion of a free trial period, if offered, will be forfeited when you purchase a subscription, where applicable. Great on the phone and old watches. But no support for series 4. With my phone and old watch, this was a 5-star app; with my only slight disappointment being the lack of ability to set overtime rules. But that’s easy enough to deal with myself after I export my CSV. BUT: The complication no longer works on the Apple Watch. I upgraded to the Series 4 yesterday, and the Hours complication will not let me add it to new faces. The app synced over, and it works when I launch it manually. The complication even works still on my legacy faces that transferred over when I switched. But I can’t add it to the new faces I’ve been trying to set up. This a problem for me, given my workflow and my unpredictable need for time tracking. My work is fairly interrupt driven and only certain clients and projects need to be tracked. So the ability to switch time tracking with just a couple of taps to the wrist was a godsend. So, tl;dr, this is a 5-star app on old hardware. But I guess the devs have abandoned it on the meantime, and if you have current hardware, you’re unsupported moving forward. So minus 2-stars on current gear. I’ve tried quite a few time tracking apps to record time I work on different projects and this app handles multiple tasks/projects the best. I can work on something for half hour, jump to a different project/client and do that for an hour, jump back to the previous project and as long as I remember to start the timers it works very well. Additionally, the timeline is super easy to use and it’s simple to adjust time blocks of work as you’re working throughout the day. I know it sounds crazy, but it’s remarkable how many other apps don’t nail a basic necessity like this. The developers have done an outstanding job and I have but one singular gripe: the color palette 🎨 It could really use some punch! I’m sorry for being picky but pastel isn’t my thing 😩 If you guys could allow us to assign our own colors to projects that would be awesome! Thanks!! We think that Hours is perfect for tracking and managing your time and we're glad to see that you agree. Happy time tracking! You are also able to set the blocks of time you want to track by so if you charge your client in 15 min increments it will automatically track to those increments in a no worries way that allows you to focus on the job at hand. I have also found putting a widget on my start screen widget area extremely helpful as well since I don’t need to open my phone, find the app, open the app, blah blah blah. Instead I simply swipe right and click on the timer I want to start or stop. If I need to add a note I can click on the listed time for that timer and it will open the app up for me. Easy and quick! Thank you for providing some awesome feedback. It’s because of users like you that we continue to work hard every day to make Hours the best time tracking app it can possibly be. Happy time tracking!